A range of lines developed to reach fish others can't. 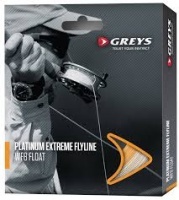 The Platinum Extreme lines are designed to offer the angler maximum power and distance. Utilising a pronounced front taper, and short rear taper, this line will result in optimum long distance presentation.